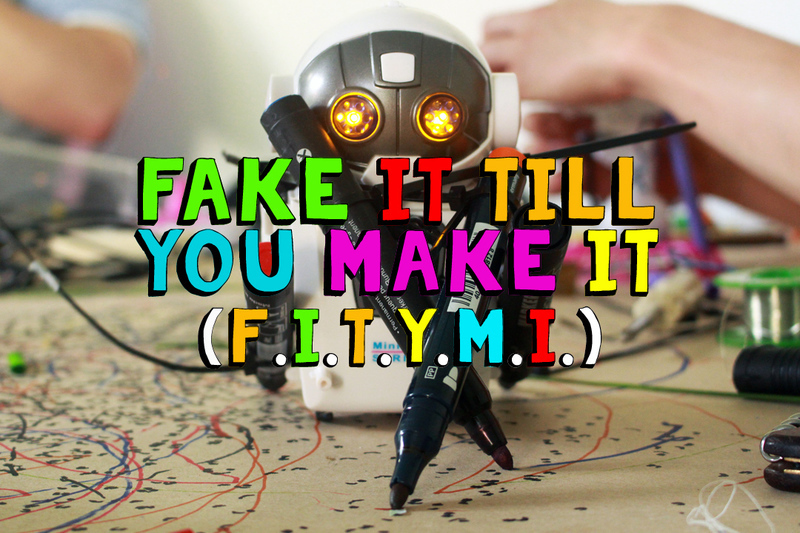 Fake It Till You Make It is a series of workshops for those curious individuals looking to broaden their experience and skill-set. Each session of FITYMI will be on a different subject which could fall under areas of expertise such as construction, making, baking, electronics, mechanics, cooking, jewelry, physics, plants, and whatever else can be imagined. It is the purpose of the workshop to learn new things for the sake of learning and it is for this reason that participants will only discover the subject of each session upon arriving to the workshop. During the class there will be a short talk about the subject and how to accomplish the objective of the FITYMI session followed by participants choosing how to proceed (experimenting with materials, accomplishing a project, discussion and/or playing) with food available at some point during the workshop. 3 meetings scheduled. 24 people have checked in (19 distinct people), and 7 guest tickets.